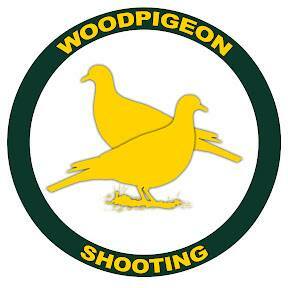 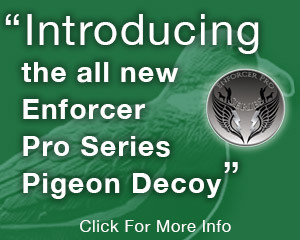 The Enforcer Pro Series Pigeon Shell Decoys & Slotted Decoy Bag are the latest wood pigeon decoys and bag from Enforcer, the shell decoys come with the same MATTBLOCK paint system that is used on all the enforcer pigeon decoys this give the shell decoys a non shine finish in bright sunshine and any wet weather. 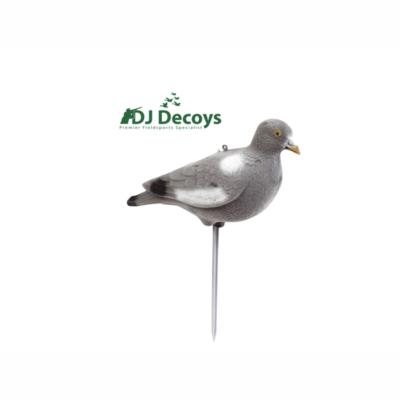 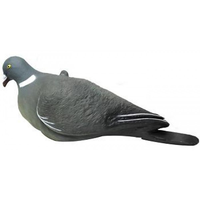 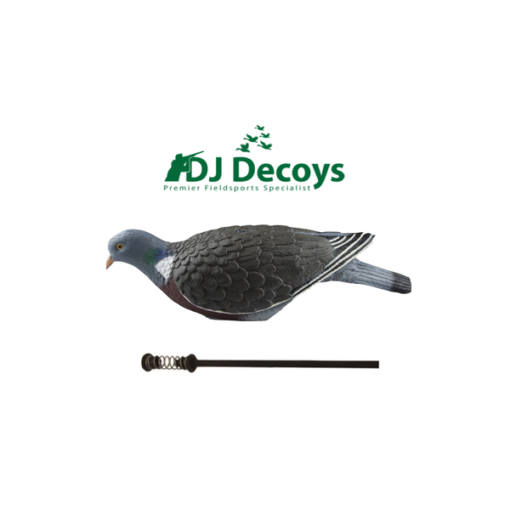 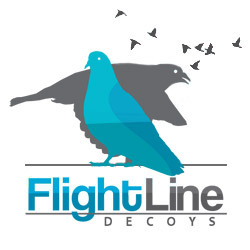 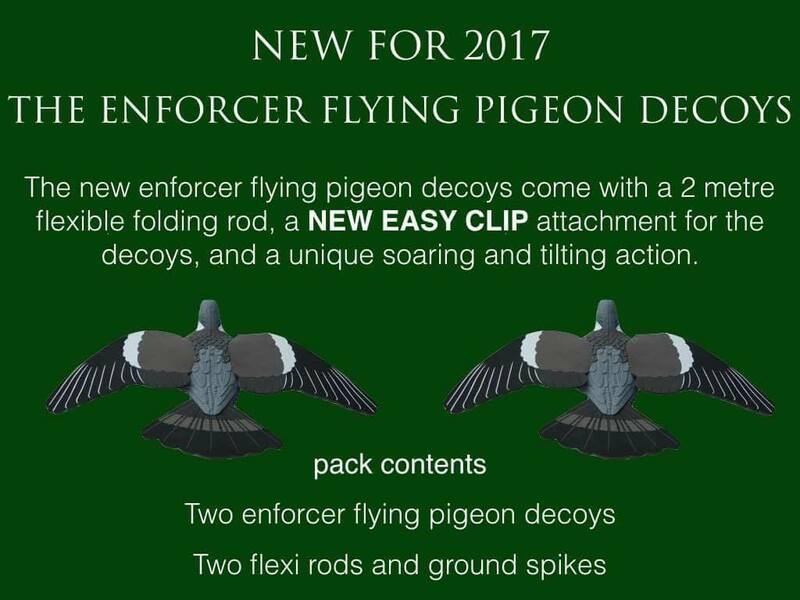 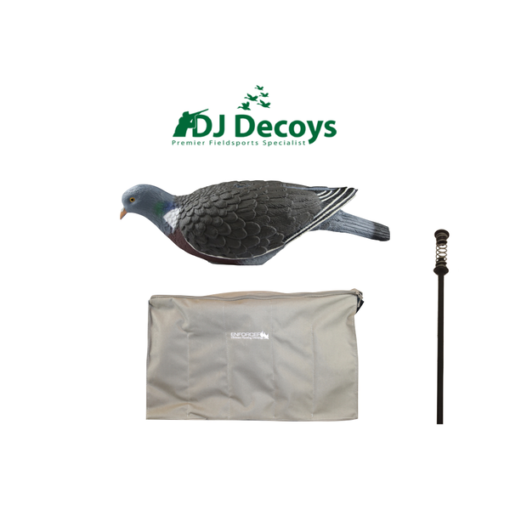 The Enforcer Pigeon Shell Decoys come with spring sticks that give the decoys movement in the slightest of breezes to the strongest of winds, the enforcer spring sticks have been specially designed for the enforcer decoys they have a screw on fitting on the under side of the decoy to give them a secure fitting. 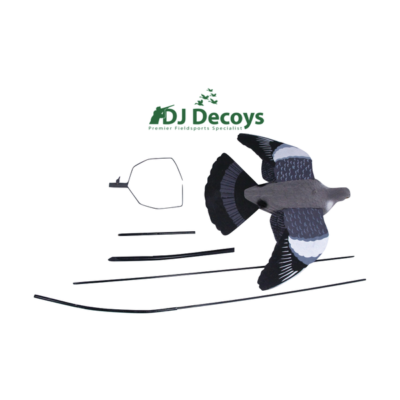 The movement of the decoys can be adjusted very easily by pushing the black ground rods up into a black rubber grommet this will then stiffen the springs up. 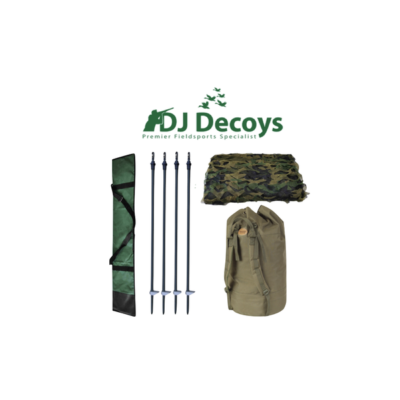 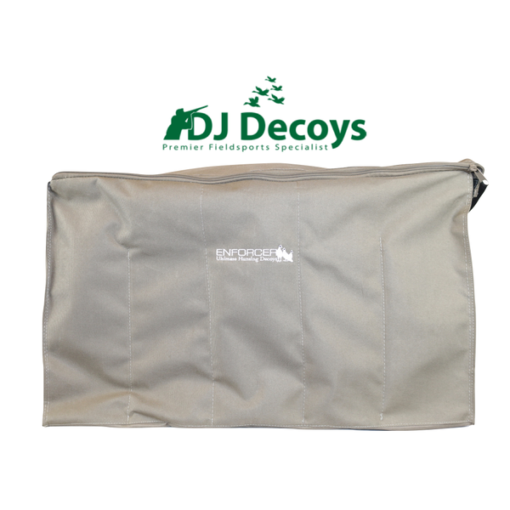 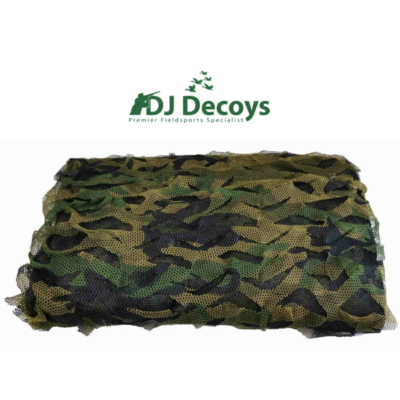 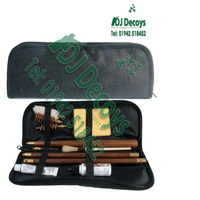 The Slotted Decoy Bag comes with 4 large slotted compartments that will hold 6 of the Enforcer Shell Decoys in each slotted compartment, this means the slotted decoy bag will hold 24 Enforcer Shell Decoys.